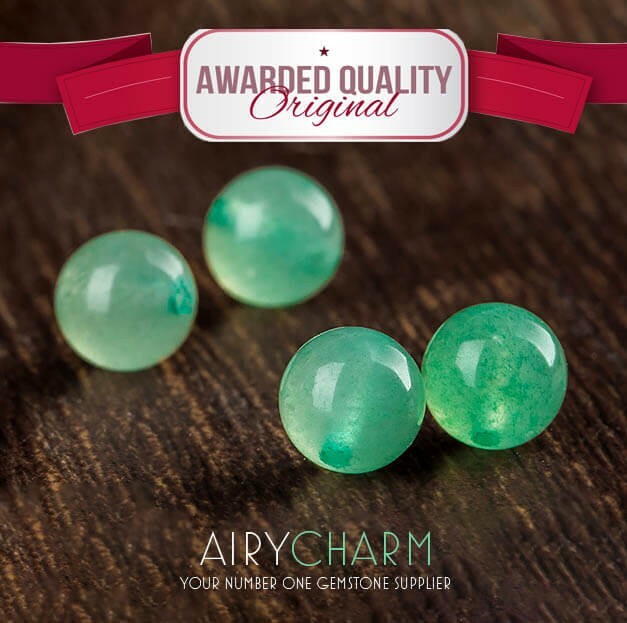 Aventurine is a stone made up of quartz and it often has bits of muscovite mica which gives it its glistering color It belongs to the trigonal crystal system and has a hardness of 7 on the Moh’s hardness scale. The most common color of aventurine is green, but it also might be orange, brown, red, yellow, silver, and blue, depending on what other minerals are in there. The color of the muscovite will determine the color of the aventurine. Aventurine is a very popular mineral for polishing and carving. Aventurine can help increase luck, abundance, and creativity, opening up new avenues of prosperity to explore. It is especially beneficial when working with the second chakra and can help increase self esteem. Aventurine goes along very well with the astrological sign Taurus. 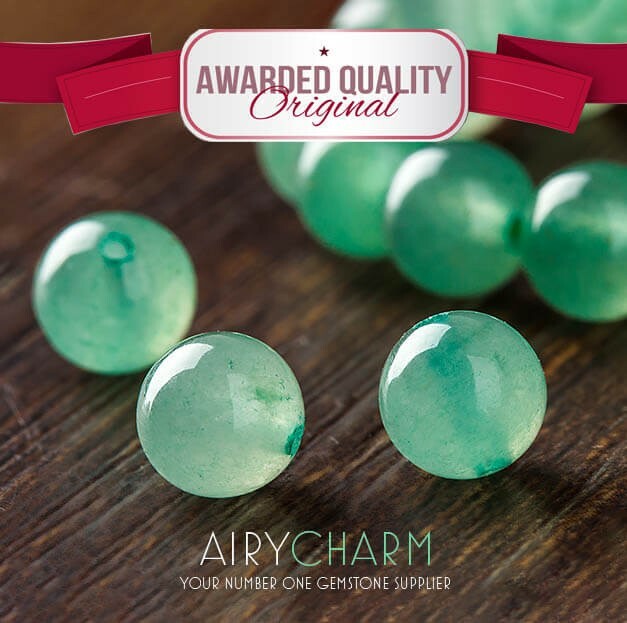 Most of the green crystals are connected to the element of earth, but that’s not the case with aventurine. Aventurine is associated with the element of air and in that, it helps us to get new ideas. 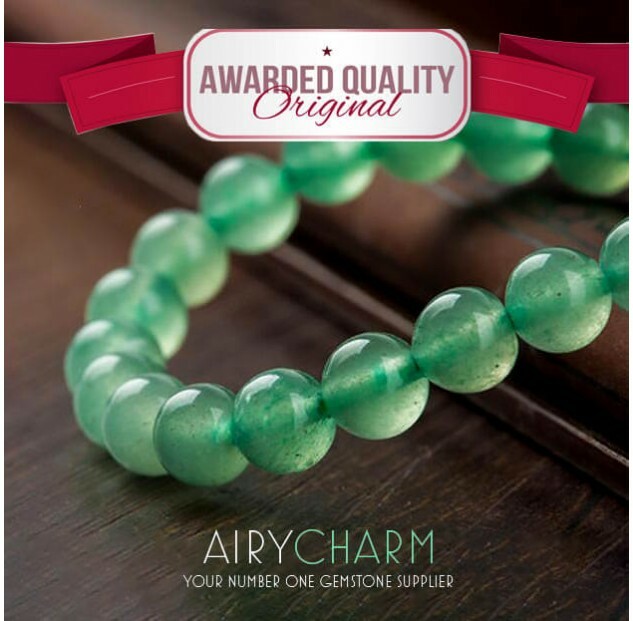 So aventurine combines the inspirational element of air with the fruitful color of green. That’s why this is a great stone for bringing projects to fruition and to bring fresh ideas to get a new start. Aventurine is also really harmonizing and balancing stone, especially the green version, but all colors of it will have a similar quality. It’s so harmonizing that it’s been used in feng shui for many years and pieces of aventurine would be put in different places in the house to bring harmony to a house where there’s been conflict. It is also very good for the immune system if you’re having issues with getting ill all the time. Because of the mica and the fact that mica is one of the minerals that we use to block electromagnetic radiation, aventurine is one of the advised to use around your computer and places like that. As far as the other colors go, there’s mainly two other colors. One is red aventurine, that one has iron oxide and that’s what gives it the red color and in the addition to all the other qualities of the aventurine, the red colored aventurine will work with the earthly chakras so it will bring you down more into your body and also give you more grounding. The other is blue aventurine and is very rare and valuable. It has a lovely blue sky feel to it, in addition to doing the harmonizing and the balancing. It also helps aid a lot of clear ideas and also being blue, it will help with communication. So having any type of aventurine jewelry can have many benefits for you, besides simply being a beautiful stone to wear as jewelry.